3 Things Google Can Learn from its Competitors to be Successful in Voice Search. In 2011, when Amazon Executive, Dave Limp, first came to know about the company’s idea of an artificial intelligence personal assistant that would later on become known as “Alexa”, he was almost skeptical. And he had every reason to be. What the company was planning, although tried by many, would still require a lot of inventing and hard work. They wanted to come up with a device that had the ability to function as a home appliance, while being a source of entertainment by simply listening to their command. However, Limp’s innovative creativity won and work began on the artificial intelligence device that is slowly capturing the market, basking in its monopoly. But what made Alexa a huge hit in the market? The success wasn’t instant. For years, Echo was just a prototype, sitting in labs, being upgraded and tested each day. But when it finally arrived, it was able to grant Amazon something that nobody could have imagined just a few years ago; competitive advantage over Google and Apple. Exactly! Anybody who has watched Star Trek: The Next Generation, must have yearned to witness the time that talking to a computer was possible and Voice Search has finally enabled this dream to come true. So what is exactly Voice Search? Writing can be such a hassle sometimes but with the rise in voice search, very soon we might be able to get rid of this. Voice Search – The Future? Well, more than half of teens, 55% to be precise, use voice search daily. And with the ease that this feature has created, soon everybody else would be using it too. It’s no surprise that teens have caught on to the newest trend and are readily using it. But it’s not just the kids. Though most adults might be hesitant to try out new technology, the ease that voice search has brought to their lives guarantees that they’ll continue using the remarkable service. For some, the service is a life saver and a personal assistant that’s always with them. 41% adults agree to using voice search every day. Then there are some who like using the service not just because of its assisting feature but because the technology makes them feel more ‘tech savvy’. Well, that’s one reason to use the service but people all over the world have found great uses for the technology. Asking for directions might be the most common query. Want to find a street, use voice search; looking for a mart nearby, use voice search. In fact, many people have started using the technology for multitasking. Having a hard time remembering the ingredients of that dish? Can’t use the phone because your hands are full? Voice search it is then! It is not uncommon for people to use voice search while cooking. In fact, 23% of adults are known to do that. And cooking is not the only activity where people use voice search to multitask. 38% people use voice search while watching TV. So yes, we can say that voice search is the future. Many are of the opinion that the ‘future’ everyone is talking about is now; voice search is not the future, it is our present. And considering how steadily the rate of error in speech recognition has declined, from 20% in 2014 to less than 8% today, there can be no doubt that the future has finally arrived. But what does it mean for Google? Google has ventured into diverse technological advances and has achieved success in many of them. But when it comes to voice based computing, Google might be at a disadvantage. 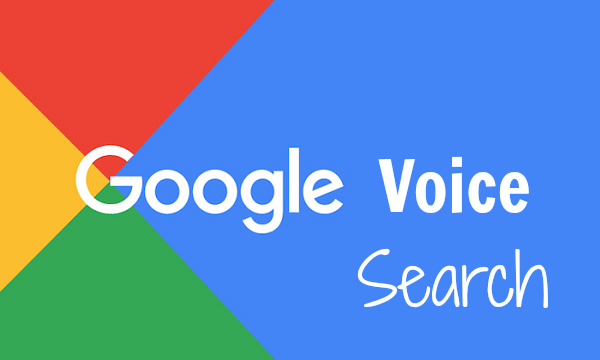 The rise in voice search enabled devices, has raised a threat for Google, which must be dealt with if Google wants to top their game. The core source from where Google gets its revenue is online ads. But if people go for devices that rely solely on voice search, the lack of screen can evoke drastic changes in Google’s business structure. Amazon’s Echo is a home appliance that is similar to Google’s Home. But since Amazon is a retail store, they can pitch in the user by suggesting purchases. Google Home however cannot do the same. Imagine commanding Home to turn on the music but instead you hear the latest ad for a product. So, it’s not unfair to say that voice search might cause problems for Google. But everything is not as bleak as it looks. Google Assistant, an artificial intelligence personal assistant, which initially included in 2016, in Google’s messaging App, Allo. Since then, the service has garnered positive praise from tech experts and this year, it is being deployed on Android smart phones and wear. In spite of this success, there are a few things Google can learn from its competitors to be successful in Voice Search. Microsoft’s Cortana had been widely praised for its cultural sensitivity. Depending on the region, it is operated in, Cortana tailors its responses to not offend any culture and nationality. It has been designed that way and that is the same pattern that Google should follow. In this era of insecurities and rivalry, it’s better to be on the same side. By ensuring that their technology is culturally diversified and doesn’t lean towards any specified political issue, Google can save themselves a lot of trouble. There can be no denying that voice search will take over screens. It won’t happen suddenly, the process will take time, but gradually, screens will become obsolete. This is the time for Google to come up with a business model that snot only increases their revenue generation but is also compatible with the need of the new age. This is the most important feature. Focus purely on the needs of the user will enable Google to penetrate the market and someday even be the leader. The writing team for Cortana knew that people would want to discuss politics and since they had the ability to predict user behavior, they were able to come up with appropriate responses. Though Google Assistant has a plethora of features, its competitors have been on the market for long, which has enabled them to grasp the needs of users quicker than the next brands. For instance, Google now offers the service of reminders. It’s simple enough and people use it too, but Cortana took it a step further and enables users to set person based reminders. You can ask Cortana to remind you of something the next time you call Dan. It is these small things that can make an app stand out among the rest. It’s our hope that things may work out for Google in the end. Even it’s CEO, Sundar Pichai, was confident that things will work out for the better. He agrees that lot of work is required to make the service work well for users. As they continue working to improve their business, we can only hope that Google Assistant provides the same amenities that Cortana and Alexa have been providing. Read next: Can The Blockchain Save Free Speech?